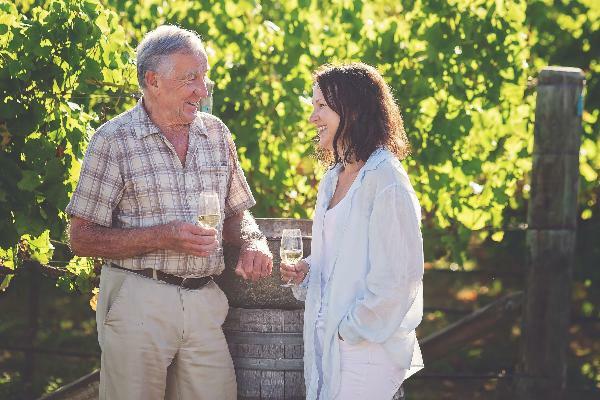 In 2003 Tony and his daughter Catherine stumbled upon an abandoned vineyard at the foothills of Mount Brown, in the western Waipara Valley, North Canterbury. The stony ground and waist high weeds presented an irresistible challenge and our hard work has resulted in multi-award winning wines. Today the vineyard is producing wines that reflect the Waipara Valley terroir: spicy, fruity Pinot Noirs; tropical Sauvignon Blancs; intense and luscious Pinot Gris and crisp, citrus driven Rieslings.